Located in the south of Spain, the city of Málaga is known for its beaches, beautiful cityline and a unique history. A centre of the Moorish empire, Málaga is also where Picasso took his first steps. All this cultural phenomenon has established the city as a global destination, making thousands of tourists visit the place every year. The city is quite tourist friendly, you can hire a car at the airport and getting around is thus quite easy. Read on to know more about the top things to do in Málaga. In case you are a fan of the flamenco culture and want to explore the beauty of South of Spain, head over to this beautiful centre of art Kelipe. 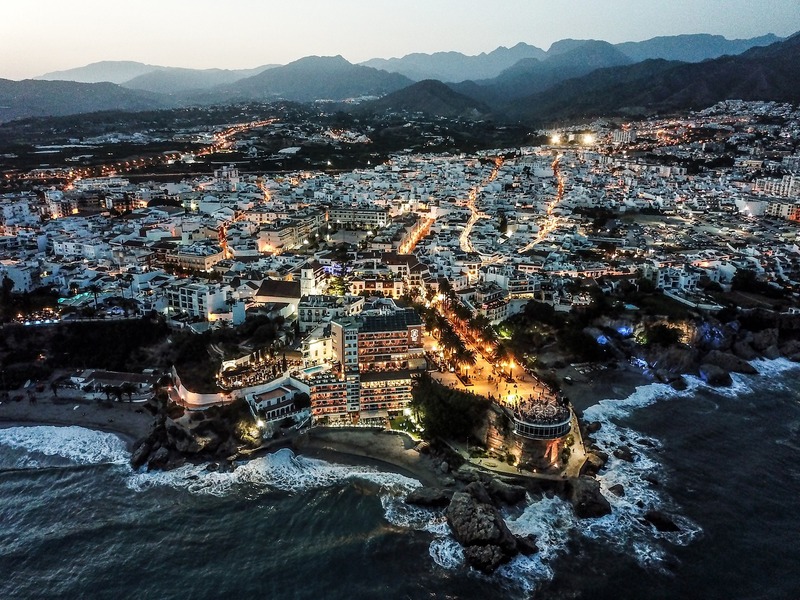 A tight knit community of musicians and dancers perform here, which means the audiences are a mix of locals and tourists, all of whom are in love with the folklores and the Spanish guitar. The place is located quite close to the city centre, and the ambience inside is finely curated to enable the visitors to feel the grace and frailty of this artform at its best. Perhaps the most iconic structure in the whole of Málaga, this beautiful castle is so grand that its walls can be seen from the city itself. 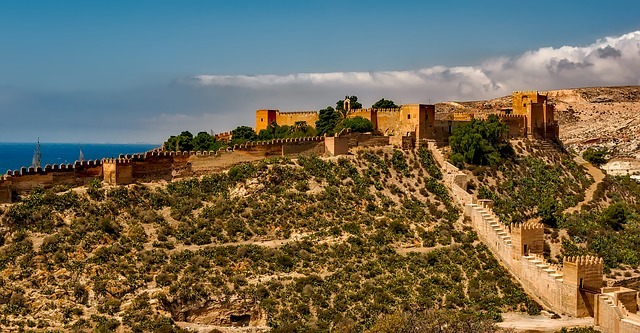 Many people prefer to walk up to Alcazaba, which makes for a picturesque trek. Its proximity to the historic Roman amphitheatre adds to the whole trip. Imagine courtyards, fountains and acres of lush gardens – Alcazaba has it all and much more! 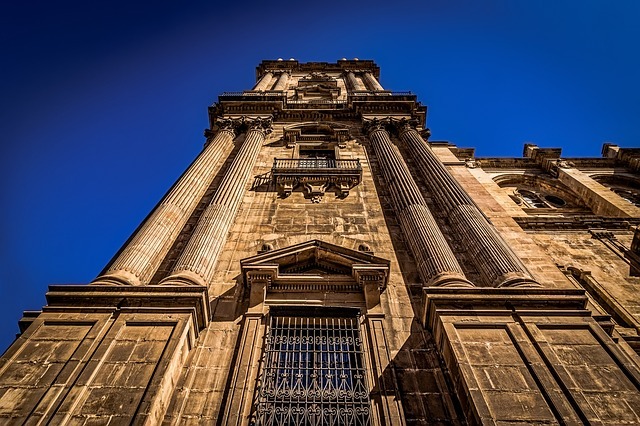 Another iconic addition to the beautiful city of Málaga, this grand cathedral is famous for its incomplete project – one of the bell towers which was never finished – which is why it is in fact named La Manquita (One-Armed Lady). The chapels and the domes full with religious art of the time make this place a must-visit on your trip here. You can also visit the museum housing several African artefacts of that period inside the cathedral. Among other things, Málaga is famous as the birthplace of the iconic artist Pablo Picasso. You can pay a visit to his childhood home, where his parents lived before and after he was born. The city also is home to Museo Picasso, a museum housing many early works of the painter, especially in his early twenties. The museum itself is present inside Buena Vista Palace and holds several exhibitions from time to time. After spending a day roaming in the streets of Málaga, one definitely needs a treat to rejuvenate. Enjoy a filling and delicious meal at Oleo, which is a minimalist restaurant located inside the contemporary art museum of Málaga. You can enjoy everything from sushi, sake, duck breast to unusual mediterranean food. The drinks and food here are sure a welcome distinction from the traditional Spanish fare. So, how about packing your bags to jetset to Malaga on your next vacation! With regards to sorting out a stag do, one of the hardest parts can be choosing where to go. Most stag parties agree to some place that has brew, alcohol, music and a heap of incredible exercises. Be that as it may, in the event that you don’t think about where to begin the chase, it makes the entire procedure somewhat harder to compose. This is the reason we have assembled a guide of the best stag do areas in the UK, which ought to ideally abandon you to sort the fun stuff. 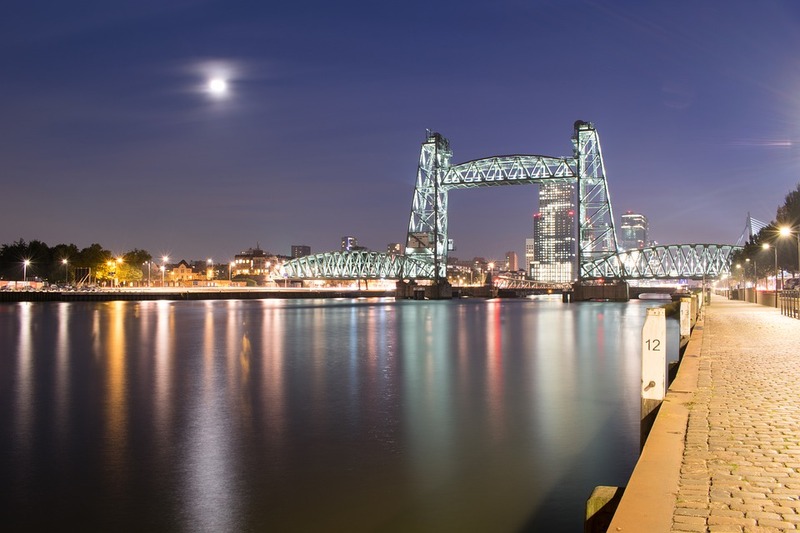 .These urban communities have a lot of spots to party, with dance club, bars, and parlors in abundance, and heaps of activities for dynamic stag ends of the week. Edinburgh, the capital of Scotland, is an incredible place for a stag end of the week. There are heaps of exercises to browse that are not the same as simply the standard stag end of the week charge. Consider Xtreme Karting, a place where you and the young men can race superior EVO 5 Karts. Found only outside of Edinburgh, motorsport hustling is exciting and beyond any doubt to get the adrenaline pumping. 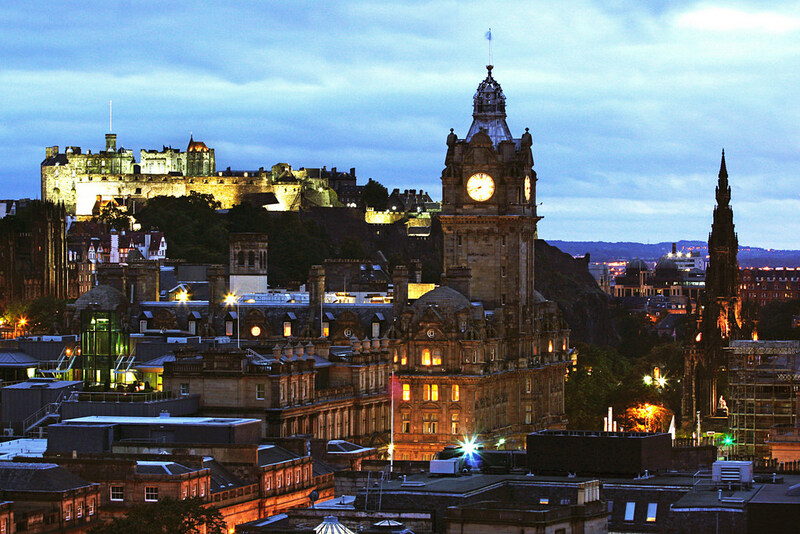 In Edinburgh, you can likewise visit a refinery, the home of Scottish Whisky, and visit various distilleries. Edinburgh likewise offers an assortment of fun open air exercises, for example, sphereing, which comprises of moving down a slope in an encased mammoth ball, paddling, falconry, thus substantially more. When you’re prepared to party, get VIP access at a portion of Edinburgh’s most sweltering clubs. Manchester, every so often alluded to as “Madchester” because of its notoriety for being the gathering city of the northwest, is an incredible place to go for your stag end of the week. Manchester has loads of various activities to suit each financial plan and intrigue. Gathering at Manchester’s most blazing clubs, drink and eat at awesome eateries, hit up the clubhouse for a touch of betting and greyhound hustling, thus significantly more. Get dynamic and take in 18 holes of golf at Manchester Golf Club , or simply rehearse your swing at places like Playgolf Manchester or Golftorium. Or on the other hand, go earth pigeon shooting at Manchester Clay Shooting Club in case you’re in the disposition to shoot things. To accomplish something somewhat more unwinding, consider an angling trip for part of the day at Pennine Trout Farm and Fishery. For greater fervor, take a 4×4 rough terrain driving outing with Motor Safari, or go mountain boarding, which is something amongst snowboarding and skateboarding, at Hales Superbole. It has such a great amount to browse, both inside and outside, that the hardest part will choose exactly what to do amid your stag end of the week there. London is one of the world’s most prominent urban areas, so on the off chance that you have your stag end of the week here, it’s certain to be one to recollect. London has everything – hip, present day lounges, insane, throughout the night move clubs, laid-back bars, comic drama clubs, music settings highlighting a portion of the most smoking names in music, thus considerably more. Go hovercrafting only outside of London at Wildcat Hovercraft, run quad bicycle hustling with the young men at Quad Safari, or go indoor go-karting at Teamsport London Tower Bridge. Following a wild night out, or a taxing day of exercises, loosen up at a portion of the world’s best spas in London, or have some food at one of the city’s best eateries. London likewise has an assortment of club for you to bet away your days and evenings. In the event that you have the time and need to see a touch of London outside of the dance club and gambling clubs, consider an excursion up into the London Eye. With phenomenal perspectives of London, it’s an extraordinary method to see a touch of the city past your inn room. With respect to lodging rooms, London has inns to suit each financial plan. You’ll have a lot of alternatives for your London stag end of the week. Newcastle is tops in case you’re on a financial plan and hoping to have an incredible time for not a great deal of cash. Go on a spooky phantom walk and bar creep or hit up a portion of Newcastle’s most mainstream clubs and gathering until sunrise. Run paintballing with the young men at Topgun Paintball and have a fabulous time shooting each other throughout the day. In case you’re searching for something new to destroy on your enormous night, make a beeline for Metro Center at Gateshead, Europe’s biggest indoor shopping complex. Newcastle is additionally known for its music scene, so consider looking at a neighborhood band before heading off to the clubs. Whatever you choose to do, Newcastle stag ends of the week guarantee to be among the best time you can discover on these shores. The Normandy district is an unquestionable requirement see on a trek to France. The Normandy locale rich market towns kept on creating with Gothic and Romanesque towns in the sixteenth century and turned into the canvas for the painters of the Impressionist development in the late 1800’s. 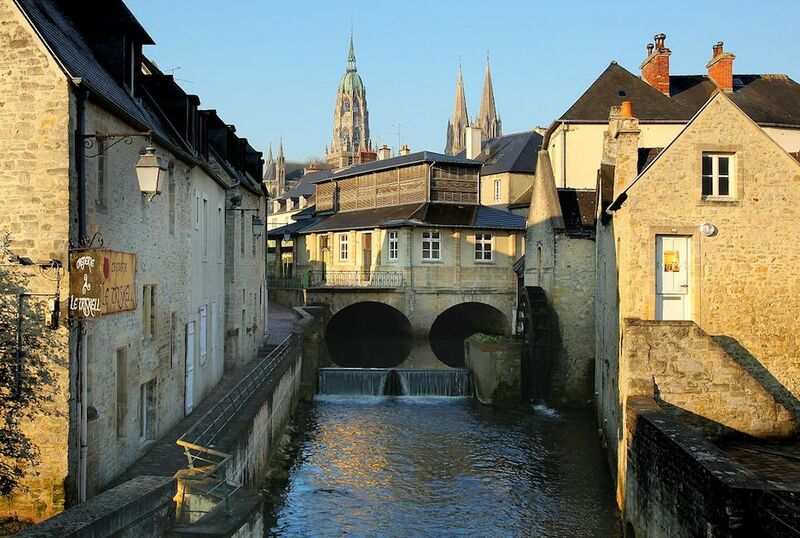 Bayeux, a residential area in France, is the highlight for two popular trans-Channel intrusions. It was the primary French town freed from Nazi occupation amid World War II. Honfleur is another Attraction in Normandy particularly known for its old, delightful pleasant port fixed with tall tight houses. The shoreline town additionally has stunning shorelines, historical centers and displays and The Church of Saint-Catherine (France’s biggest wooden church). The famous impressionist painter purchased the house in 1890, changed it into his own particular corner of heaven which is a present Attraction in Normandy. A famous Attraction in Normandy and is amongst the most notable pictures of France, Mont Saint-Michel lies off the bank of Lower Normandy as the nation’s most renowned and terrific Benedictine convent. The wonderful labyrinth of shelters, turning staircases, greenhouses, and defenses, alongside the sensational perspectives from above make it more than beneficial. Frequently alluded Attraction in Normandy and said to be the recorded capital of Normandy and France’s exhibition hall city, Rouen prides itself with a remarkable history, some extremely heavenly medieval engineering, and an incredible assortment of attractions. At the point where the Orne River meets the English Channel, Caen is the central town of Lower Normandy and the capital of the département of Calvados. The historical center which is an Attraction in Normandy intends to teach and express the topic of compromise. Omaha Beach, Attraction in Normandy reached out between Vierville-Sur-Mer and Colleville-Sur-Mer-the emotional Atlantic coastline where sheer bluffs rise just about 100 meters over the ocean. This burial ground contains in excess of 9,000 impeccably adjusted tombstones, which makes it the greatest American graveyard in Normandy. Another famous Attraction in Normandy whose late spring goal on the Côte d’Albâtre is the shorelines of Fécampthat pull in numerous vacationers searching for an unwinding occasion break. Apart from the angling harbor, the primary vacation destination here is the old convent church of Sainte-Trinite. The name of Suisse Normandealso known as Attraction in Normandy(Norman Switzerland) is given to the delightful stretch of wide open in the Orne Valley. The winding waterway, rough feigns along its banks, and the mind-boggling interwoven offences give the scene a specific appeal. The most striking highlights are the Rocherd’Oëtre in the hilliest piece of the zone. Close to Omaha Beach, yet another attraction in Normandy the arrival shorelines of Arromanches were effectively caught by the British. The gallery lies close to the shore, near the spot where one of the harbors was built. It offers guided visits with working models that show how the fake port worked. Stavanger, Norway’s third largest city. The 20th-century rapid population growth leads to the boost in the offshore oil industry. Now the city is the oil capital of Norway. The city is also known for its vibrant cultural hub with various music venues. The city outskirts are well furnished with offshore islands and steep mountains. The city has always been the commercial center. One of the famous tourist attractions in Stavanger because of its steep cliff which rises over 1980ft. On the top of the cliff, there’s a flat surface of 25 x 25 mts. The cliff is often visited by the base jumpers for their adventurous leaps. Every year over 150,000 visitors come here for hiking on the cliffs, which involves some breath-taking views of nature and some naturally formed lakes to take a dip and rest. The climate here is mild and humid coastal climate and it’s better to not hike during winter and spring. The lavish green valleys take the tension out of your body and mind and recharge you. The story of the petroleum might not seem a fascinating one but believe me, this one does. 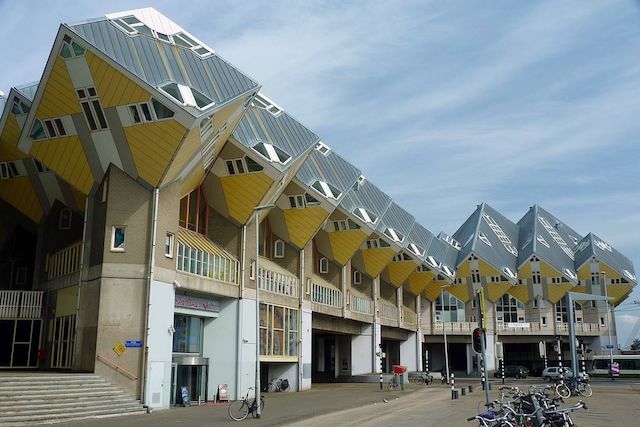 This ingenious museum makes the story significant and as well as alluring. The museum displays objects, photographs, and films that document the Norwegian oil and gas liveliness. The place might not be as appealing as other tourist attractions in Stavanger but it imparts knowledge that one must know. The museum department explains how they discover the deposits and recover in a practical manner. Every adult can experience the diver’s suit in under water. A boat trip in this place is an unforgettable experience, the robust mountains, waterfalls, seal territories and goat herds are some beautiful sights. 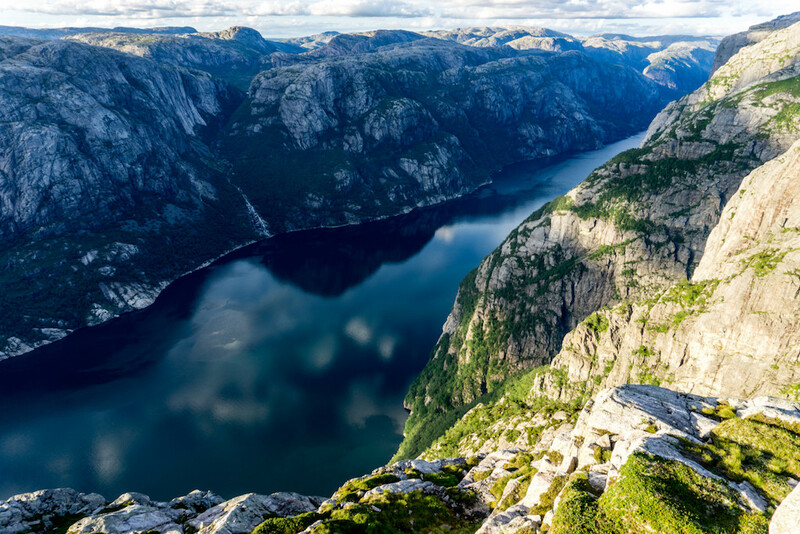 This is best tourist attractions in Stavanger that offers the physical challenge to mountain climbers. These fascinating mountains formed during the Ice age offer some of the beautiful views of the earth, a simple word to discover those sights is “Goosebumps”. A beautiful place with small wooden houses and fabricated streets. 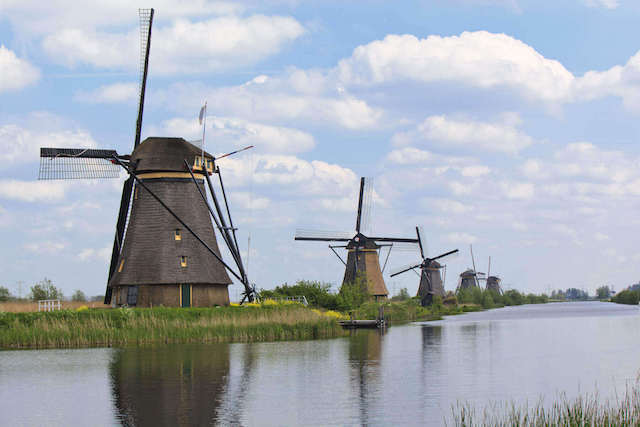 The area largely contains re-established wooden buildings which were built during 18th and 19th centuries. Most of the houses are privately owned and are painted white but vary in age between 100-300 years. The area is well-worth for exploration of all the tourist attractions in Stavanger. With its galleries and museums, it is one of the charming areas of the Stavanger. The museum is of natural and cultural antiquity consist of several departments like Zoology, children’s, printing, art, maritime, canning, natural and cultural history. Zoology department has a station for the migratory birds which abodes rich and varied birdlife. Maritime department exhibits the development of the shipping and fishing industry of the last 2 centuries. Art museum holds an extensive collection of over 2000 works, which are worked with more than 70 watercolors and oils. Canning museum exhibition displays the machinery, photos, tools, labels of the canning industry of the last 2 centuries. 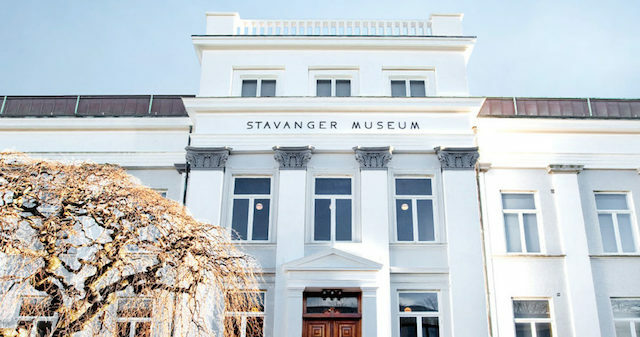 In this manner, every department has their own specialty and that makes the museum one of the most visited museums of tourist attractions in Stavanger.